Summer Storm is a wet ink, but has low saturation. It is decently lubricated and has decent flow but isn't as smooth as some inks. It does, however, have beautifully highly contrasted shading and a small amount halo effect. While it doesn't feather, the line it puts down on Rhodia paper does not always have the crispiest edges; on Tomoe River it is, expectedly, crisp. 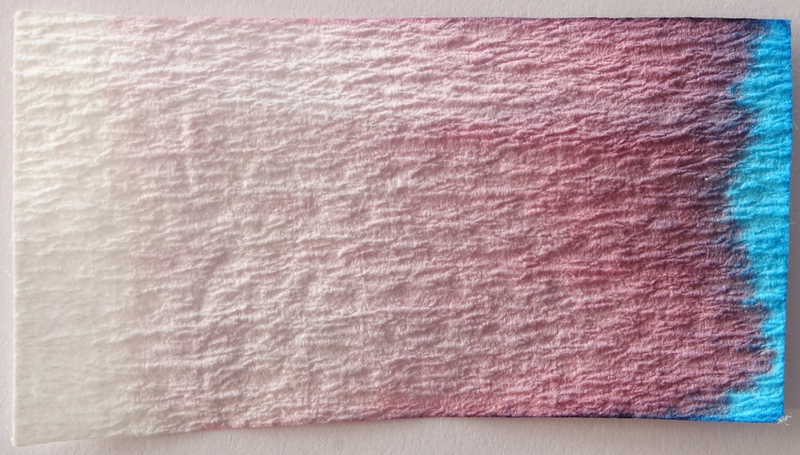 It does feather on cheap copy paper, but not too extensively. 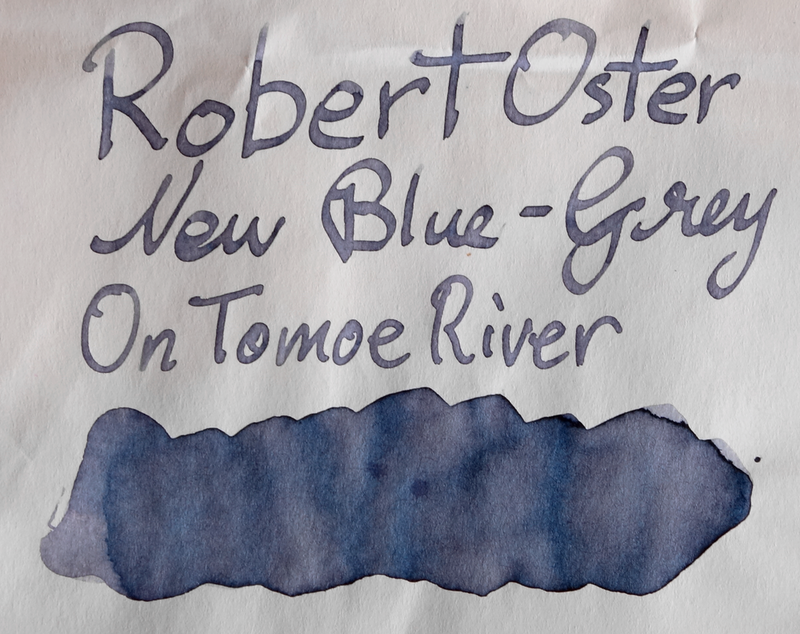 Summer Storm has no sheen, even on Tomoe River (not that I expected it on a low saturated ink). Compared to other somewhat similar greys I have, Summer Storm is lighter and less blue than Montblanc JFK Navy Blue, more colourful than Diamine Grey, Darker than OMAS Grey, has less red than Diamine Vivaldi and is more blue but slightly lighter than Diamine Chopin. 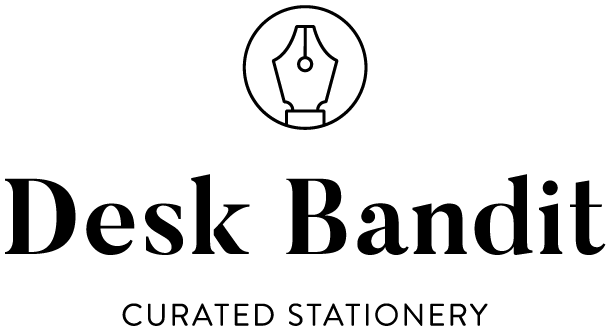 1 - Montblanc JFC Navy Blue. 2 - Diamine Grey. 3 - OMAS Grey. 4 - Diamine Vivaldi. 5 - Diamine Chopin. Greys are not a colour I have too many of; they just aren't something I enjoy all that much. For a grey, however, this is a really nice one. The high contrast shading and the subtle purple undertones make the ink more interesting than your usual grey. I like interesting. 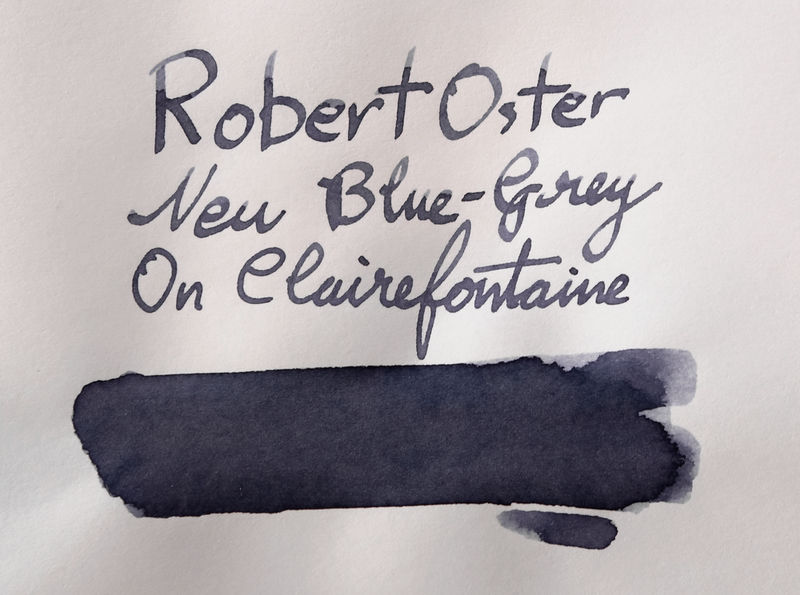 It isn't my favourite Robert Oster ink, but it is one of the more enjoyable greys. 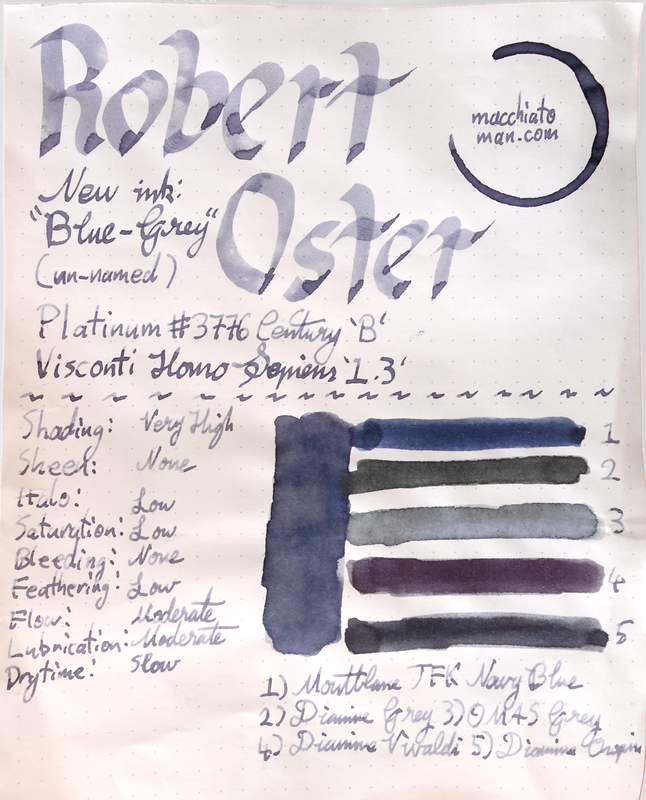 Robert Oster Signature inks can be found at Pensive Pens, RobertOster.com and Sakura Fountain Pen Gallery. 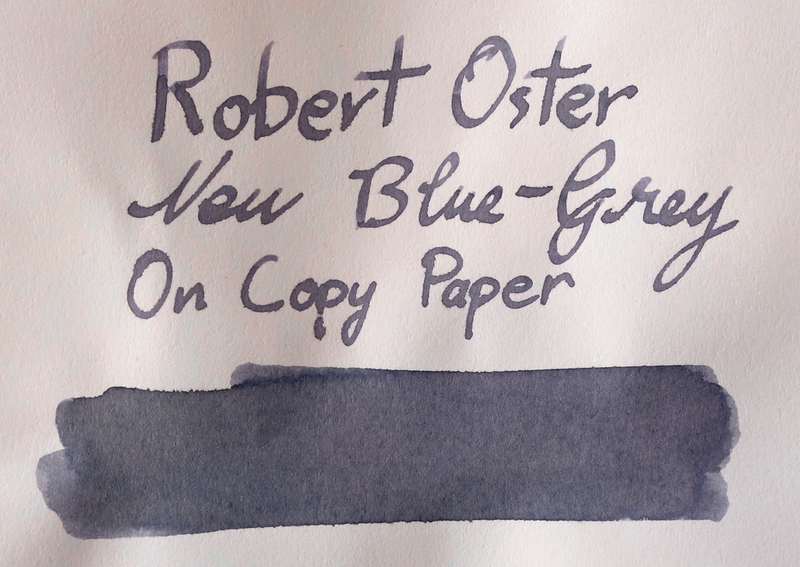 I received this ink free of charge to name and test it (not to review). I was not otherwise compensated and everything here is my own honest opinion. There are no affiliate links.